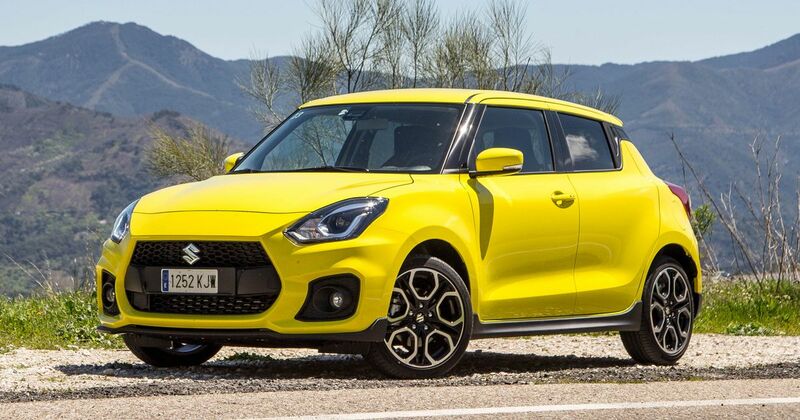 “It’s fine, it’s not an expensive car,” I told myself while climbing into the Suzuki Swift Sport’s cheap and cheerful cabin. Yes, all the stuff you want - a sat-nav system, Apple Car Play, climate control - is here and standard-fit, but there’s a bargain basement theme of tough plastics and less than luxurious fabrics. But hey, it comes with the territory, and - coupled to the low price you’re all expecting - the way this thing drives will make all that forgivable, right? Well…yes and no. The big headline here is weight - the Swift tips the scales at 975kg. That’s 70kg lighter than the old one, despite growing by 50mm in length and 40mm in width. Sounds like Gandalf-spec wizardry is at play here, but it’s thanks in no small part to the all-new platform shaving off a massive 30kg. We have a lighter body in white too, which is far more rigid than before. All of this translates IRL to a car that’s hilarious fun to chuck around, with a tremendously keen front-end and a mischievous attitude. It’s beautifully balanced, well-damped has just about enough grip and just the right amount of body roll. 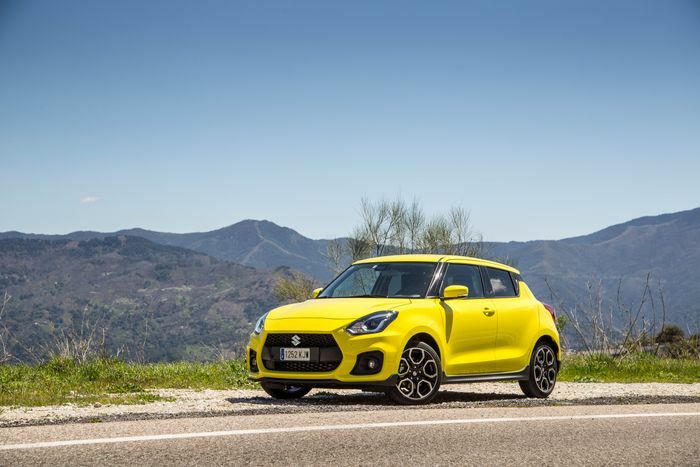 In these days of super-stiff, super-serious performance cars with fat tyres, the softer Swift Sport and its comparatively skinny 195-section boots is a compelling riposte. But here’s the thing - when it comes to the way it drives, there are more chinks in this thing’s armour than you’d anticipate. First, let’s take a look a the engine. Gone is the old 1.6-litre naturally-aspirated unit, replaced with a lighter 1.4-litre ‘Boosterjet’ turbo. With 138bhp on tap it’s scarcely more powerful than the outgoing engine, but the key here is torque - the new 169lb ft figure represents a healthy increase of nearly 50 per cent. Sounds like a recipe for boosty fun, but it’s a mediocre unit. 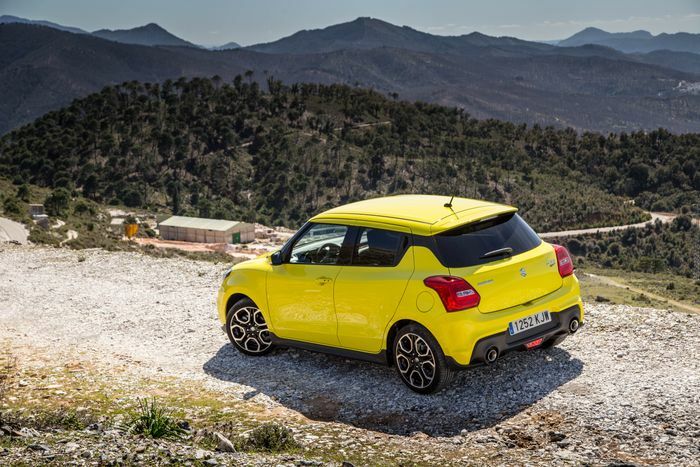 It’s hard to find its sweet spot, meaning on a twisty road you either end up leaving it in third gear and make the most of the low and mid-range twist, or ring it out in second. Do the latter, and you’ll inevitably become intimately acquainted with a breathless top end and one of those ‘soft’ rev limiters that makes it feel like the engine’s lost the will to live. It’s not like I’m unfairly pitting it against the old atmospheric 1.6, either - even compared to other tiny turbo engines out there right now, it doesn’t quite measure up. It’s not hooked up to a particularly good gearbox either. The short, accurate shift of the old car was one of its strongest points, but there’s something disappointingly mushy about how it feels to swap cogs in the new Sport. Oh, and there’s quite a nasty transmission noise to contend with on the overrun. Finally, the steering isn’t as predictable and resolved as you’d like. Granted, the Fiesta probably won’t have the same standard kit levels (there are no options on the Sport - Suzuki gives you pretty much everything you might want from the off), but the Ford will be far nicer inside, and if the last ST was anything to go by, it’ll be a belter to drive. Suzuki’s £249 a month PCP deal with no deposit sounds tempting enough, but then so is the £3500 down, £139 a month deal you can snag the equally fun and unserious VW Up GTI for. 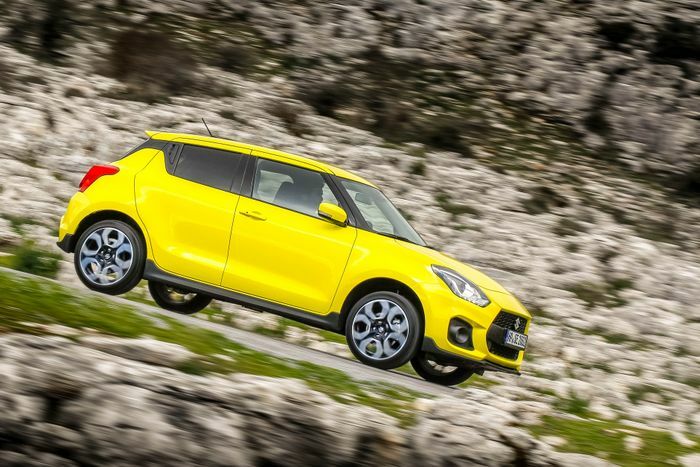 This Swift could do with offering ridiculous value compared to its rivals, but it doesn’t. Like I said at the beginning, this is not an expensive car, right? Well, about that: the old one may have been about £14,000, but the standard Swift range as a whole has received a price bump, and that means this new Sport weighs in at £17,999. That’s a rather serious price tag for a not-so-serious car, particularly when pricing for the new Ford Fiesta ST is anticipated to be fairly close to that figure. Make no mistake: the Sport is a car you really want to love. It’s a car with a heart of gold, and it’s a shame there aren’t more cars around like it. I just wish it was a little more polished, and a lot cheaper. Recommended car throttle shop Worldwide Shipping In The CT Shop Car Throttle Submit Your Videos To Get Featured On Our Social Channels Features My First Drive In A Mazda RX-8 Was A Revelation, But I Still Wouldn't Buy One Features Cupra Ateca Review: Capable Golf R Guts And Questionable Branding Features Alfa Giulia Veloce Review: More Appealing Than The Quadrifoglio? Features 992 Porsche 911 Review: The Car That Proved This Dumb Sceptic Wrong Features Mercedes-AMG A35 Review: A True AMG Or A Poor Relation? Features 8 Things I’ve Learned After 12 Months With A MkII Skoda Octavia vRS Features Renault Megane RS 300 Trophy Vs Honda Civic Type R: The FK8’s Reckoning? Features Lamborghini Aventador S Review: The Last True Supercar?